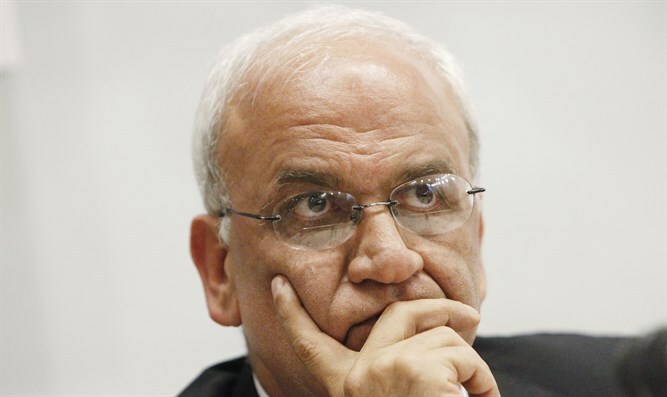 PLO's Saeb Erekat blasts Israel, calls for action against the Jewish state at the International Criminal Court. "The situation today is that Israel does not respect international laws and its obligations. We expect that France, as part of its war on terrorism, will also fight against the Israeli occupation and for a Palestinian state along the 1967 borders with its capital in eastern Jerusalem,” said Erekat. "The international community and especially the member states of the UN Security Council must act against Israel and investigate its crimes in the International Criminal Court. We will provide the court with many materials about Israel’s violations,” he added.